I can’t believe it’s February already. The kids are back at school and I can breathe again. The January school holidays were very hectic, also due to the fact that my new book, “The Maxwell Sisters” just came out. I’m really excited about this story. This book is as much about family as it is about falling in love. The novel centres around three estranged sisters, Phoebe, Tash and Eve. The eldest Tash, is on the brink of divorce, the middle sister Eve, is single and heart broken and the youngest Phoebe, appears to be in the happiest part of her life. She’s engaged to be married to the man of her dreams. The story begins when she decides to get married at their childhood home, Tawny Brooks Winery, situated in the heart of the Margaret River Wine region – one of my favourite places on earth. Up until this point, the sisters have lived very separate lives. But when the wedding date is set, for the sake of their parents, they must put their difference aside and return home to help prepare for the big day. It’s a reunion like no other. There is so much going in this book, the writing process was actually the hardest I’ve been through yet. I often got myself confused at times and had to take copious notes and set out a very detailed time line to get myself back on track. In general, as a writer, I’m very much a panster. I tend to let the road wind where it will. But with “The Maxwell Sisters” this wasn’t always possible, due to the number road blocks other more insistent characters kept putting up in my path. I found I did need to plan a little bit more to get through some chapters where all the sisters were interacting together. It was, in the words of my father, “a bit of a job.” LOL. But, in my opinion, worth it. 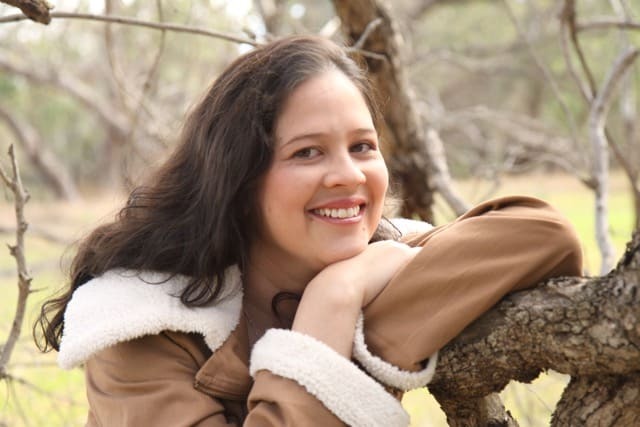 In January, I paid a visit to some of my other favourite authors before arriving on your blog – Margareta Osborn, Jennifer Scoullar and Helene Young. I’ve been talking with them about some of the characters in my novel and how I created them. Today I wanted to focus on Phoebe with you. She’s the youngest of the Maxwell Sisters. The one whose supposedly in the best part of her life. I don’t think many romance writers choose to write about this particular point in a heroine’s journey. Usually because for most romances this is where the story ends – the happily ever after. No one imagines that this is the point where life introduces a whole set of new challenges. For me, Phoebe’s story was a great source of comedy. Weddings are super charged events. Everyone’s emotions are on an unnatural high and it’s easy to make things into a drama. And I made lots of dramas for poor Phoebe. She’s the got interfering mother-in-law from hell, the jealous ethnic Greek mum who also wants things done her way and an eccentric father who hates her fiancé, Spider, for reasons unexplained. I loved watching Phoebe trying to play diplomat at this inter-family crisis over flowers, menus, music and celebrants. But that’s not all Phoebe’s juggling. She has terrible secret – a secret that is starting to alienate her fiancé. I won’t tell you what it is because it’s a massive spoiler in the novel. But I will tell you this. I think, when we get married, as much as we might like it to be, it’s not just about riding off together into the sunset. Unless you’re taking your family, your previous relationship baggage, your work problems and all past grievances from your single life with you in your back pocket. When you marry someone, you usually get more than just them, if you know what mean. And that’s an adjustment for all couples. I think Spider makes a good go of it when he is confronted with the Mad Maxwell’s of Tawny Brooks Estate. But he definitely needs Phoebe to put his fears to rest. I hope readers will sigh over their struggle and maybe find it a little bit funny and relatable too. I do love reading books that feel real. Like when you see a scene, you think, “Wow, this could be me.” On that thought, I might leave it here so I can get stuck into reading, “The Sunnyvale Girls” about three other remarkable women! Thanks again for having me on your blog Fiona. I’ll be visiting Jenn J McLeod next week to talk about Spider, Phoebe’s fiancé. I’m really looking forward to reading this, maybe because I don’t have sisters. It sounds fabulous. I love Loretta’s Books Fiona n I can’t wait to read this one!! Sounds a similiar sibling rivalry!! Mum’s the word! lol!.. i would love to win The Maxwell Sisters. I have read all the other books and loved them. If you ladies continue to write amazing stories, I shall never get any work done and my to be read pile will never go down. 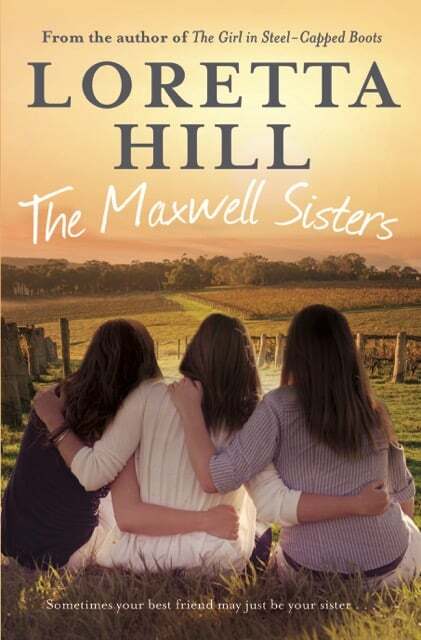 Can’t wait to read The Maxwell Sister’s. Starting The Sunnyvale Girls tonight. Thank you for giving me an entry into your fantasy worlds. Oh I hope you enjoy it Shara! 🙂 Happy reading. Looking forward to another good read from one of fav Aussie authors. Read all Loretta other books. Being a West Aussie Recognising the towns you both write about and love getting lost in the story. Recently just finished reading The Sunnyvale Girls and The Mission (now hanging out for the next instalment). Looking forward to your next book to Fiona. I’ve read all of loretta’s books so far and I’m sure this will be no different! I have only just found your books, and so far have read four. The other four are on order. I wish I had known about your great offer for buying all eight together . But they are being shared with my friends and getting good reviews from them too. Living in a rural area ourselves, we can relate to the characters and story lines, and your writing style is such a pleasure to read. Sometimes the story lines even hit close to home, so it can be emotional. If Loretta’s books are as good as yours, I will have found a new author to keep tabs on as well.